Know your Bristol on the Move has the pleasure of supporting two artists-in-residence on the project. Zoe Tissandier is currently working with the Vaughan postcard collection at the Bristol Record Office. You can visit her blog here: http://vaughanpostcardcollection.org/. Zoe is working with histories of postcard production, the materialities of the postcards (recto and verso) and the relationships among the many volunteers who devote their energies to building the knowledge base around this unique collection. 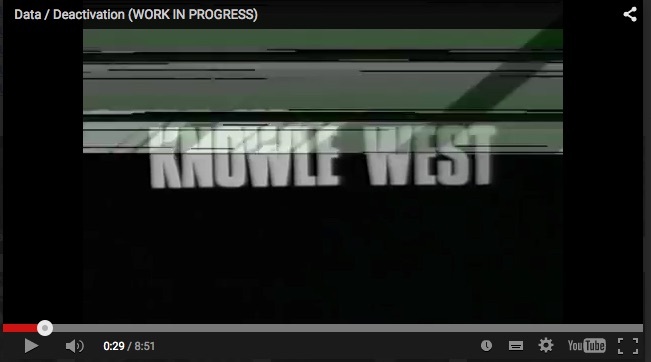 David Hopkinson has been working with the digitised Knowle West TV collections and has produced 8 short films that explore the formal qualities of the material and some of their conceptual themes. Utilising humour and musicality, David will work with Knowle West Media Centre to finalise the films for online distribution and possible large-scale projection.